Speak is about the struggle of a teenage girl finding her voice and strength after being raped at a party. 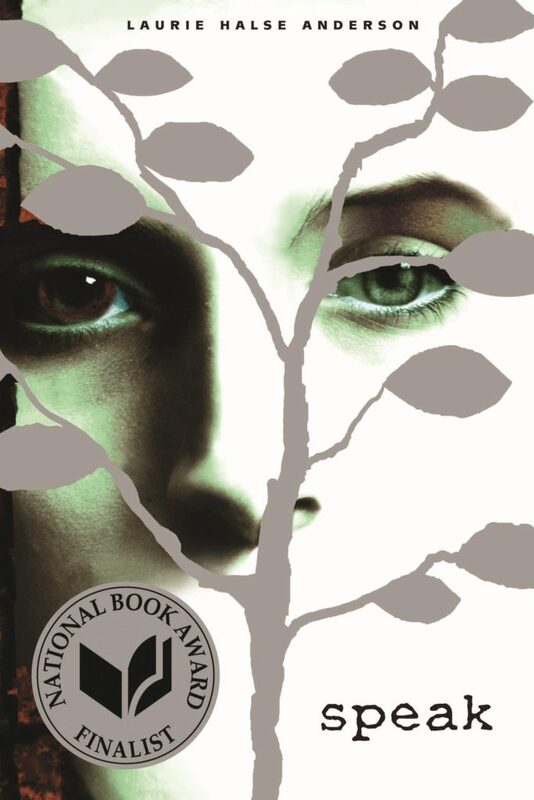 The novel was published in 1999 by Laurie Halse Anderson who wrote the novel to cope with the anxiety and depression she struggled with after being raped when she was thirteen years old. Much controversy has surrounded the novel, causing it to be banned from schools and libraries due to its mature content, which caused widespread censorship. 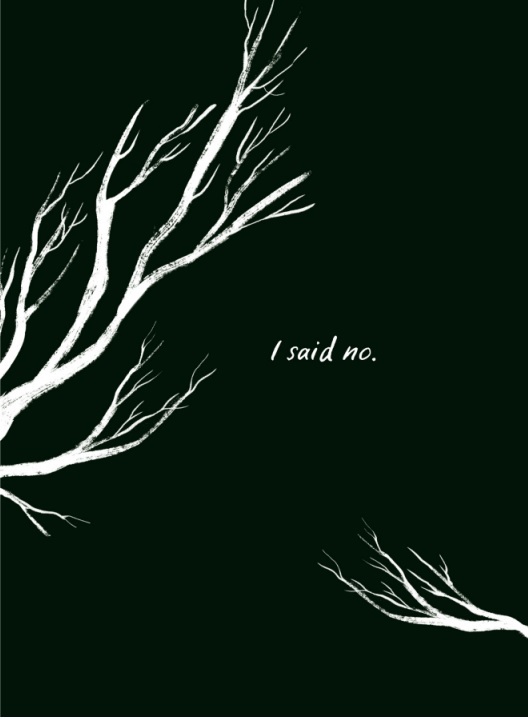 In 2018 the novel was adapted to graphic novel form, with artist Emily Carroll’s illustrations blending with Laurie Halse Anderson’s powerful prose. The novel has also been adapted to film in 2014, starring Kristen Stewart as Melinda Sordino. In the novel version, we’re personally attached. We attach our personal experiences to the teachers, the bully, the creeps, the popular kids, the over achievers, the jocks, the cheerleaders, and ourselves. In the Graphic novel, we lose a bit of that personal attachment and gain a more emotional one. We now see the faces of the characters described, we watch as Melinda suffers before our eyes unable to help. The anger, anxiety, depression, and sadness are now visible and more real. The novel is written in a manner that is chaotic at times, jumping from point to point. The style choice was intentional and very well done, it gives us a scope into the mind of a teenager dealing with so much pain. The style also works extremely well, even more so, with the Graphic Novel. There’s only so much room for text in Graphics, the text works together with the art as if we’re being told a whole new story that now has the power of sight that smashes you in the face with pure emotional images. What Emily Carroll does exceptionally well in the Graphic novel is her depiction of depression, fear, and anxiety. She causes us to relive our personal experiences in those moments, sparking old memories of that dark creepy monster in the back of our minds. Carroll plays off our fears, creating a visual for those dark moments causing a closer attachment to Melinda Sordino and her struggles. I had never read or heard of Speak until a few weeks ago. A novel with such a powerful message shouldn’t be censored or banned, its purpose is to teach people about the effects of sexual assault and to give victims the confidence to speak up and fight. The censorship of committees and parents are equivalent to the parents and committees in the novel itself, coming up with asinine reasons to change something over and over again simply because it implies inappropriateness or makes them feel uncomfortable. These uncomfortable topics require attention so that they can spark changes, pushing them under the rug only breeds more ignorance and generations of unawareness. As Laurie Halse Anderson’s new memoir states: SHOUT. We must if we are to evoke change.